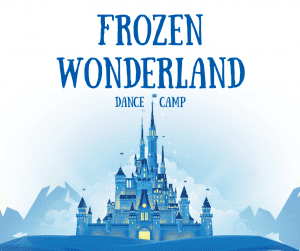 Come cool off at our FROZEN dance camp! Students will learn dances to their favorite FROZEN songs, have story-time, and do fun arts and crafts. The camp will run July 29th-August 1st from 9:00 am-12:00 pm with drop off starting at 8:45 am and pick up between 11:50 am-12:00 pm. The last day of the week, we will dress in our favorite FROZEN costumes and have a performance at the studio for family and friends! No dance experience or special attire needed! Join us under the sea as we dance, make crafts, play games and have tons of fun! 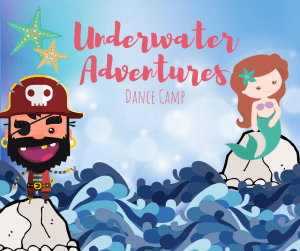 This camp is for dancers who are looking for a fun, unique way to spend an imaginative week dancing, jumping and flipping around to fabulous mermaid & pirate inspired music! The camp will run July 15th-18th from 9:00 am-12:00 pm with drop off starting at 8:45 am and pick up between 11:50 am-12:00 pm. The last day of the week, we will have a performance at the studio for family and friends! No dance experience or special attire needed. Do you love singing and dancing in the mirror? Do you want to work towards being a STAR?! 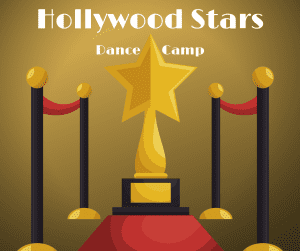 This year we will be offering a Hollywood Stars Dance Camp! Dancers will be exposed to a varied of different styles, learning routines for each style to put on a performance at the end of the week. The camp will have a performance Friday at 3:00 pm.